This is the Oakley Blade. These watches use the same pure sapphire crystals used in most high-end watches and they are enhanced with an anti-reflective coating. Oakley says it takes more than 16 million pounds of force to hammer high-grade stainless steel into submission. A 300-ton hydraulic ram blasts an ingot 27 times to create the blade design. The stainless steel bracelet is made to fit many wrist sizes without the wide gapping of conventional links. 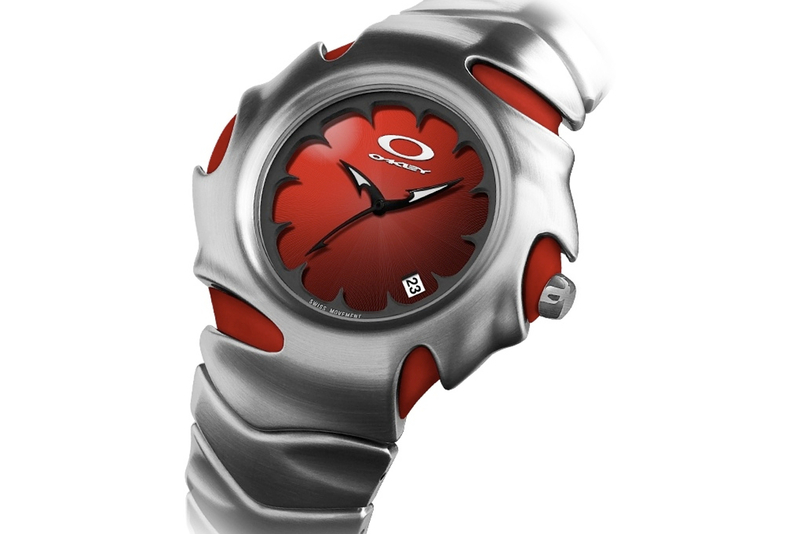 Possibly the coolest feature on these watches is the curved blade shaped hands that are signature Oakley. The movement is a five jewel Swiss quartz and is powered by a 74-month battery. 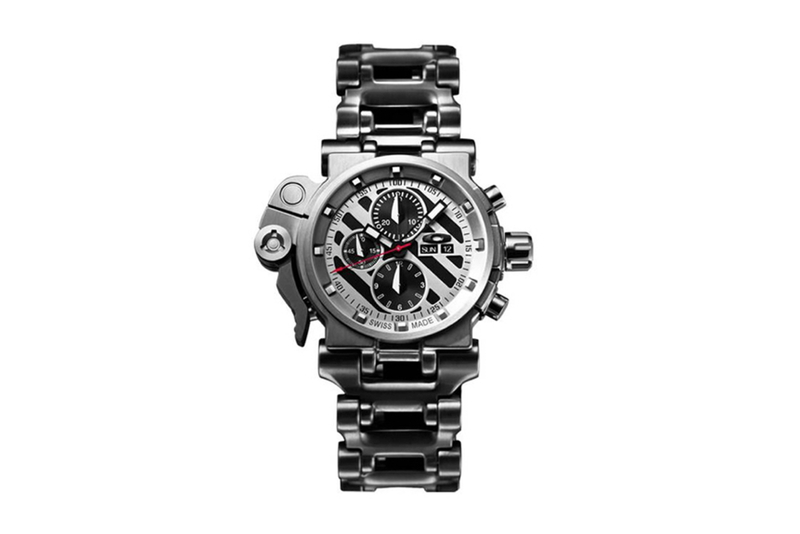 You can order a Blade watch directly from the Oakley website in stealth black, polished or brushed metal. The Blade is reasonably priced considering the quality and design. If the Blade is not for you we recommend looking at the GMT and Judge collections also. Oakley paid close attention to detail when making the Blade watch, which is crucial in a market where detail is everything.